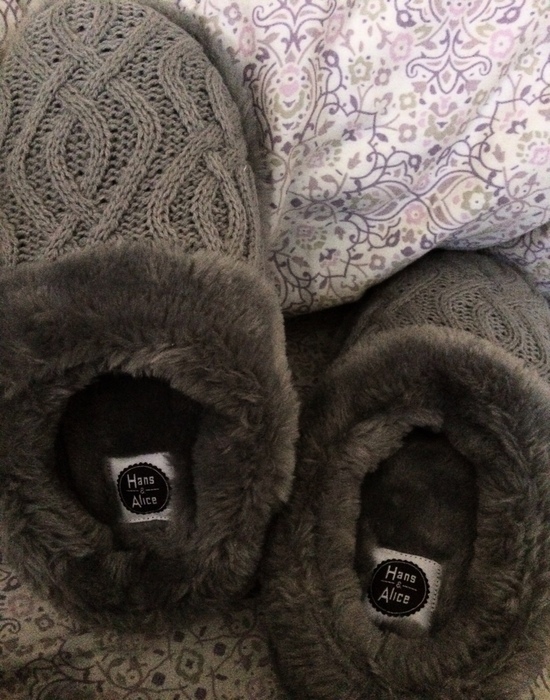 These are some sweet slippers! 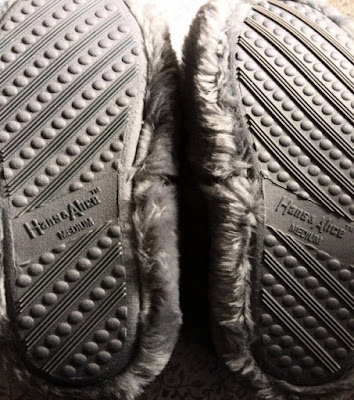 On the bottom of this pair, bears the Hans & Alice brand name. They also have texturized grip bumps. I remember slippers from old-school days and they were fuzzy on the bottoms and made for an almost sock-like kitchen dance. Sometimes, this was unintentional. You'll want to remove the compacted paper wad in each of the toe before donning and doing a runway show for your cats. At least, I did and they are much more comfortable now. Weird, huh? Remove that wad and your slippers fit better. Ye-ah. 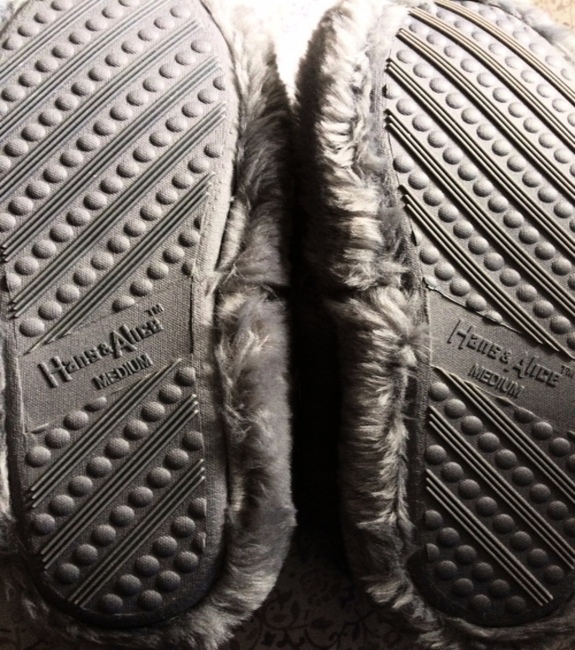 The brand name is also sewn into the inside of the heels. 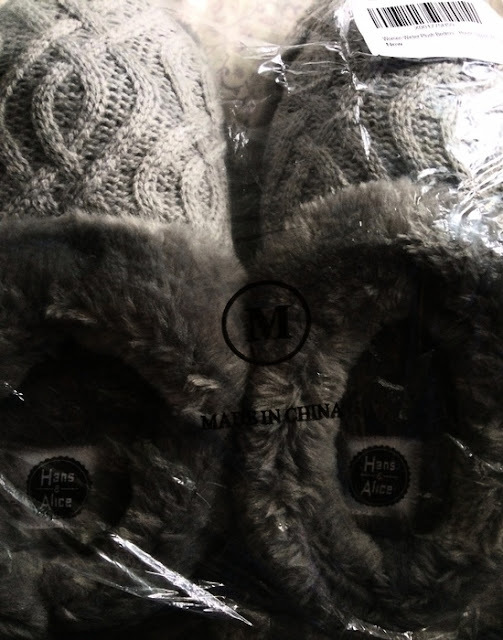 There is a cuff around the top of the slippers which has a nice texture. These are warm. Perfect for dropping mercury!